Additive manufacturing (AM) has various independent parameters that affect the mechanical properties and quality of the produced parts that are not linearly the function of each other. Process parameters in metal AM are very hard to control, analyse and optimise because they affect each other even though they can be independently changed. Changing process parameters in a wide range is not possible due to the formation of problems such as cracks, balling, unmelted powders, porosity and distortion. 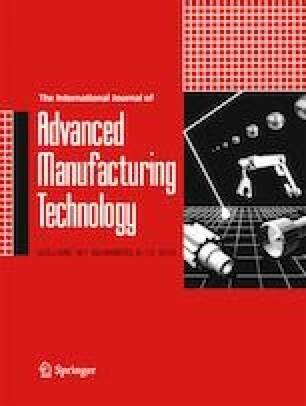 In this paper, a numerical model to predict the value of tensile strength of selective laser melting (SLM) Ti-6Al-4V parts and analyse the effect of process parameters on the results has been proposed. Taguchi L25 Design of Experiment (DOE) across 125 samples to create a comprehensive and general overview of influential parameters on the build process was investigated. Specifically, parameters included laser power, scan speed, hatch spacing, laser pattern angle and heat treatment (HT). To evaluate and analyse the build process according to established statistical variances, a minimum of five samples based on ASTM standard (for tensile test) were prepared. Heat treatment was added to the DOE to analyse the combined process and post-process effects. Results were compared (cross-validated) against existing values found in the literature and were found to effectively predict and explain the behaviour of tensile strength when changing process parameters.